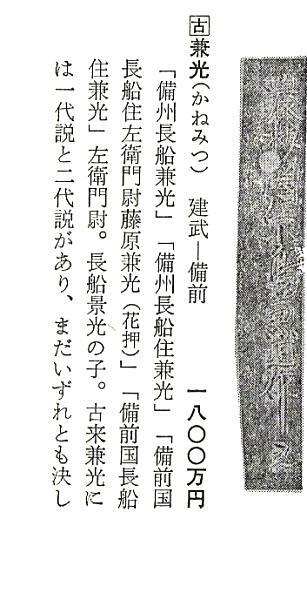 An extremely important sword, o-suriage late Kamakura Bizen katana attributed to O-Kanemitsu. Shinogizukure, iroi mune, bohi. Hawatare: 2 shaku 2 sun 2 bu (67.27 cm / 26.5"). Motohaba: 3.38 cm. Sakihaba: 2.3cm. Kasane: 7.3 mm. Gunome, gunome togare, slant shoulder gunome, long kinsuji, deep rich habuchi, nado. Finely forged itame, with some shingane. 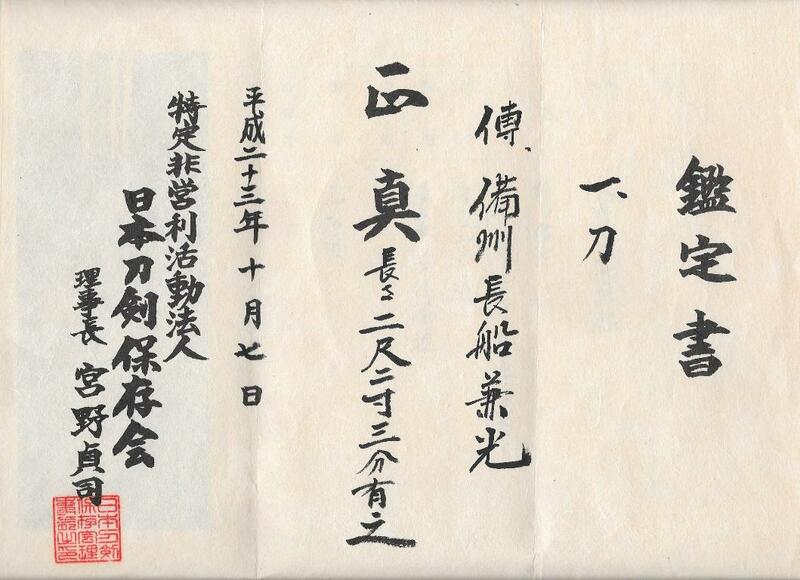 In koshirae with NTHK/NPO certificate to O-Kanemitsu of Genko (1331-1334), the very end of Kamakura. He has a sharpness rating of Saijo owazamono, the supreme sharpness rating. 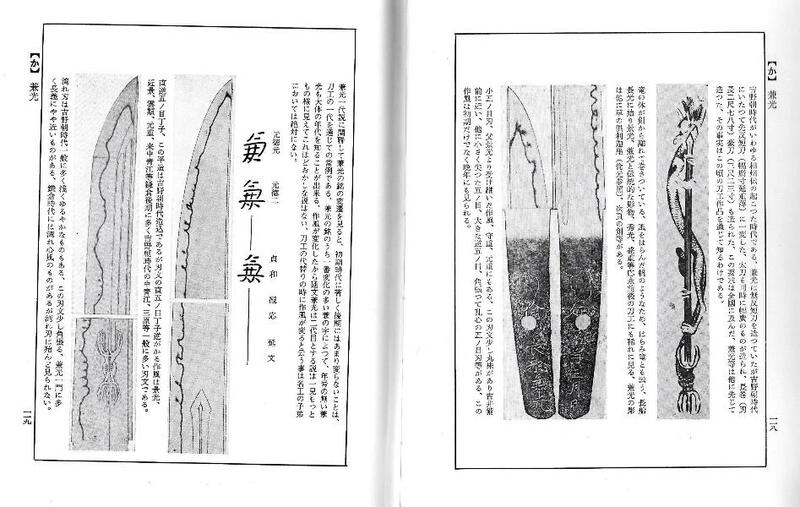 Rated Saijosaku in Nihon Toko Jiten - Koto Hen, by Fujishiro; valued at 18,000,000 yen in Toko Taikan, by Tokuno; and pictured or referenced in every volume on koto swords. As of 2000, Juyo numbered 171. Juyo Bunkazai: 9 tachi, 4 katana, 1 wakizashi, 2 tanto. Juyo Bijitsu Hen: 10 tachi, 1 katana, 1 tanto. The saya is polished back lacquer, tsuka wrapped in single strand white tsuka ito. Shakudo nanako crane fuchi, horn kashira, crane menuki, and a sukashi iron tsuba with a crane motif. Unfortunately, while the maki is skillful, the choice of ito was poor, being a synthetic. 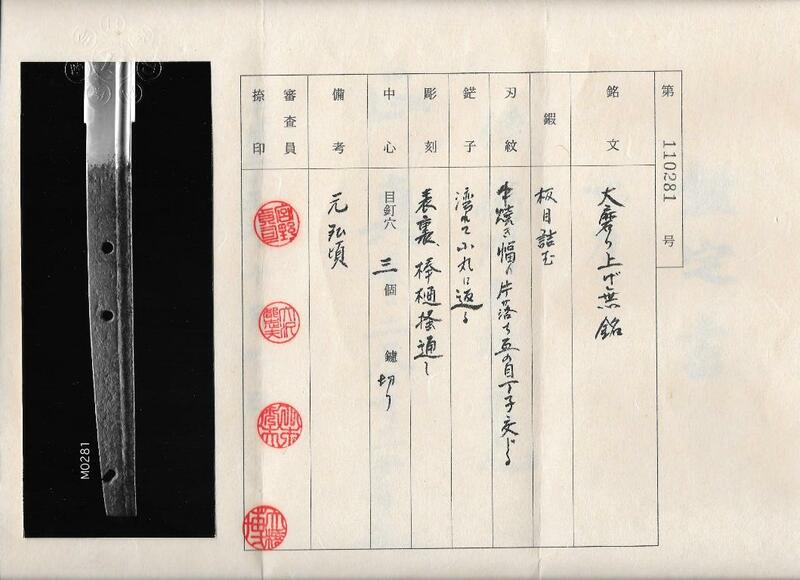 There is a question as to whether there were one or two generations of Osafune Kanemitsu. 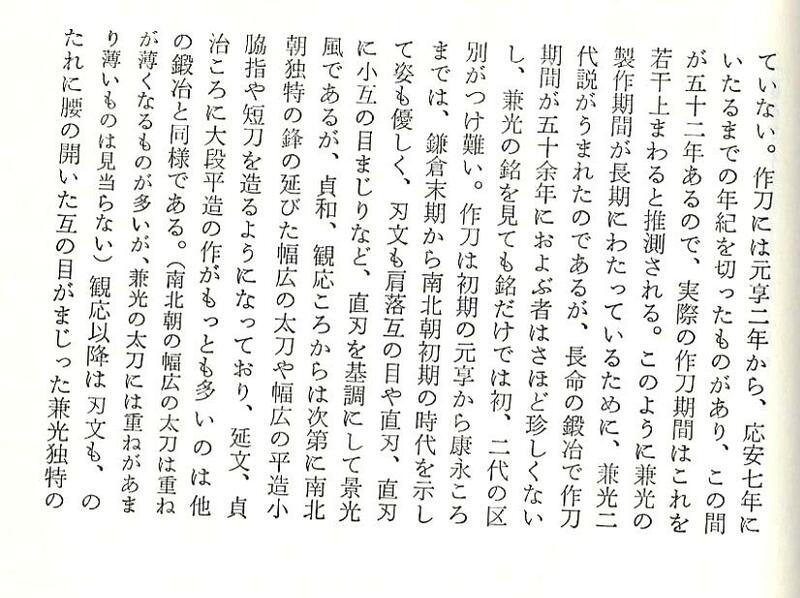 Those who favor the two generation theory refer the first generation as O-Kanemitsu, and the second as Enbun Kanemitsu. 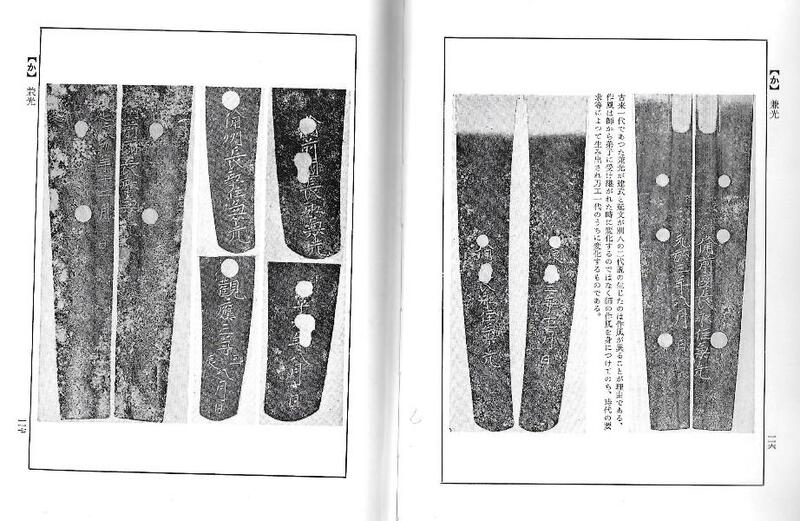 As is noted in Nihonto Koza, since the workmanship is indistinguishable, this will remain a point of speculation. O-Kanemitsu was of the Masamune Jutetsu (ten students of Masamune). His work is in two styles, one favors the classic Bizen tradition, with high sori, narrow mihaba, and ordinary kissaki. The other, shows greater Soshu influence with low sori, wide mihaba, thin kasane, and elongated kissaki. 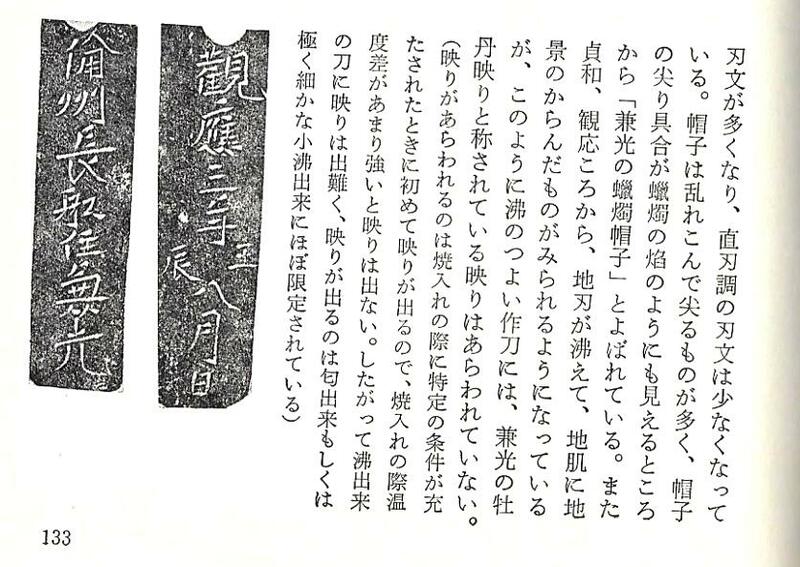 This piece is an early work that is in the Bizen tradition, in the style of his teacher, Kagemitsu. His work in strong Soshu style begins around Jowa (1345-1350). 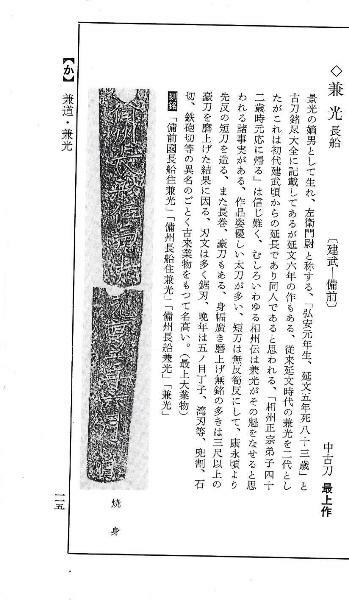 Dating the sword to Genko jidai (1331-1334).